Kids of all ages get crazy excited to dress up on Halloween and run from door to door to get their fill of sugary treats! 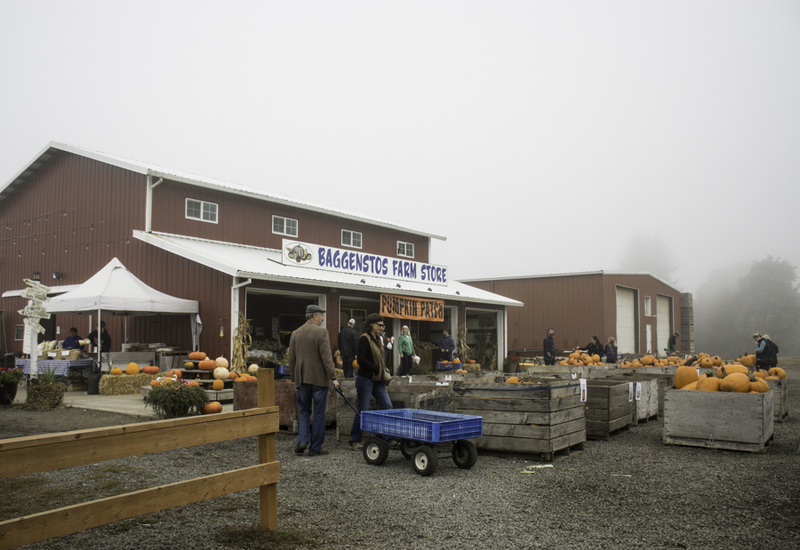 Everywhere you turn, you see pumpkin spice flavored everything, orange pumpkins, spooky decor, haunted houses, and cool foggy mornings in the PNW! 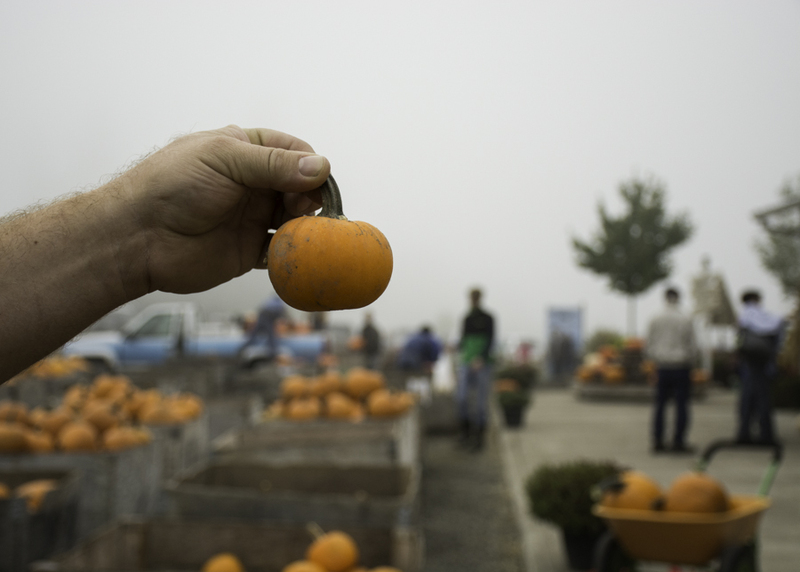 A trip to the pumpkin patch was in order. My kids are much older now in their teens, and would rather stay up late and sleep in than go out for pumpkins. 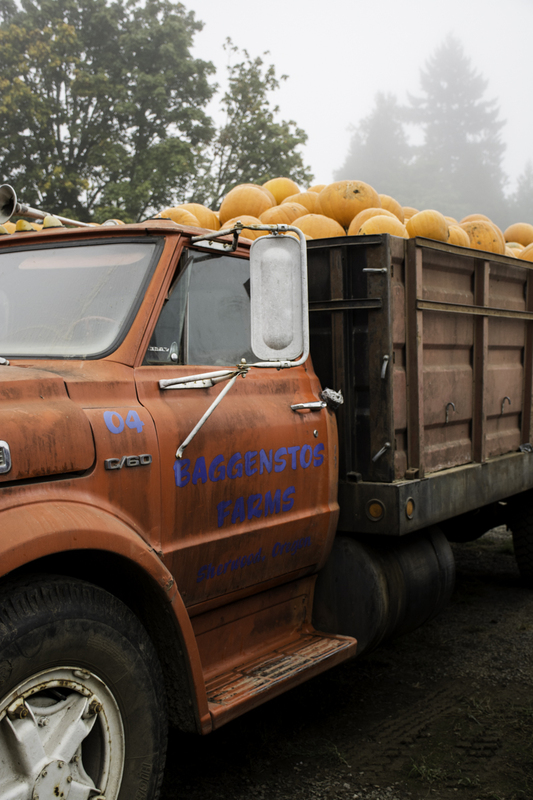 But, I’m always up for a pumpkin patch trip! It’s so much fun to go and pick them out and see what fun games they have to play. 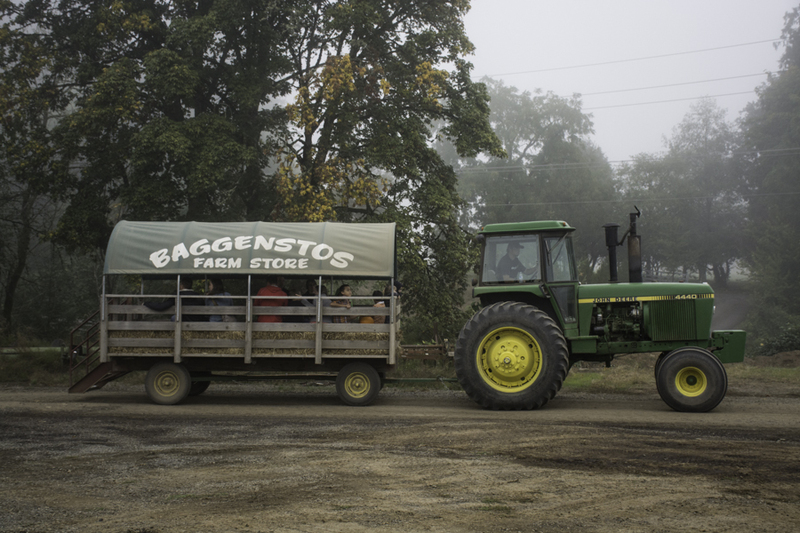 Baggenstos Farms out in wine country has to be one of the busiest patches! They add on more and more every year! 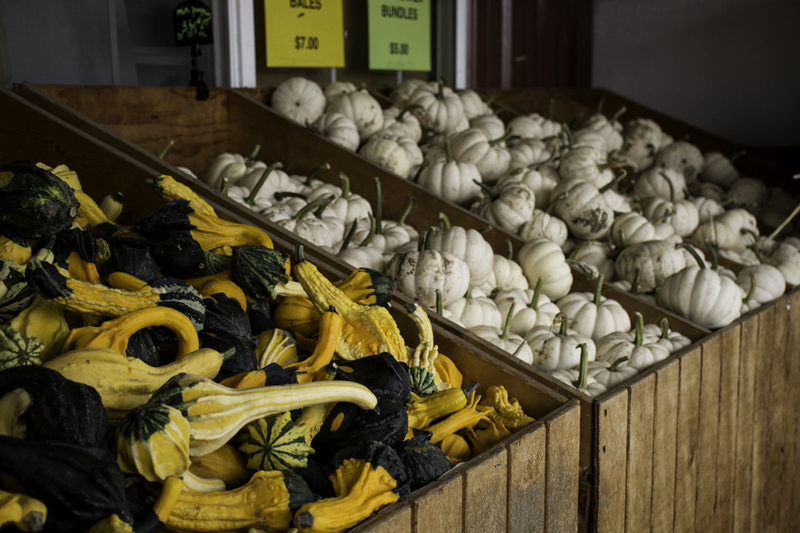 This year they had pumpkin bowling, a pumpkin water game, and more produce and pumpkins. 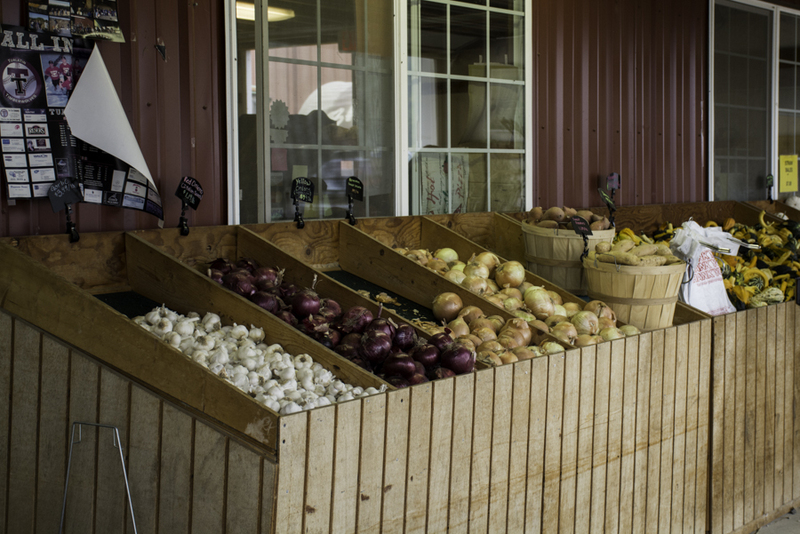 Along with the farm animals and tractor rides down to the patch, they also have homemade kettle corn, and brats on the grill. We went early in the morning to beat the crowds and they were still very busy. It was also a very foggy Fall morning, perfect weather for this mini trip. We opted not to ride the tractor down to the patch, so we picked our pumpkins from the large bins they had to choose from. They have every kind of pumpkin you can imagine, cinderella’s, tall jack o lanterns, mini decor pumpkins, gourds, and my favorite- the pie pumpkin. I grew my own pie pumpkins this year so I didn’t buy any of those this time, but we did end up with a bail of hay, stalk of dried corn, and about 7 different pumpkins. 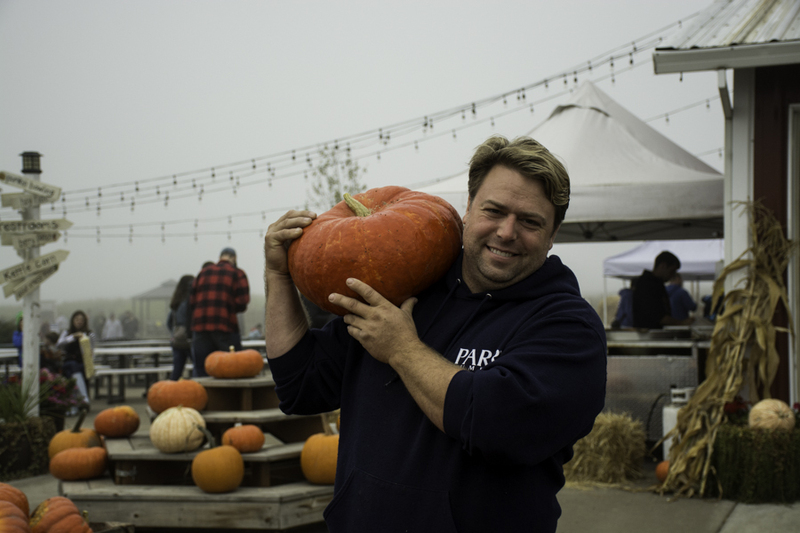 Many people ask me what to do with a pie pumpkin. 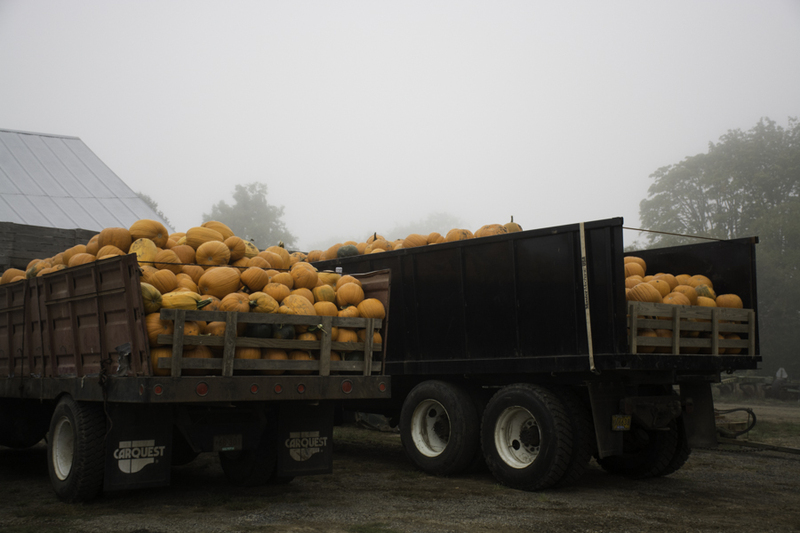 It’s very very easy to make your own pumpkin puree from these pumpkins. Slice in half, scrape out the seeds, place on a baking sheet cut side down, and roast at 400 degrees for about 1 hour. When cooled, peel off the skin and puree the inside flesh in your blender or immersion blender. Then use it in any recipe that calls for pureed pumpkin. It makes great soup, cookies, bread, smoothies, and pie of course. The puree stays fresh in the fridge for about 3-4 days. 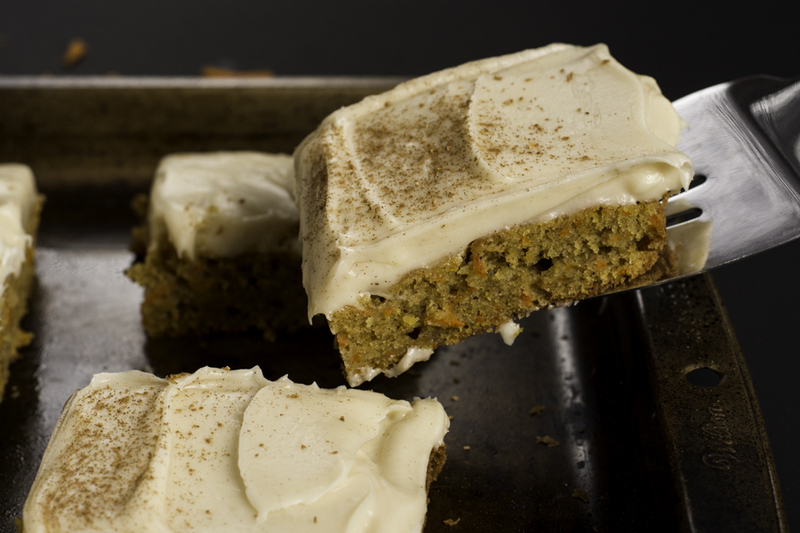 This time around, I made these pumpkin carrot bars with cream cheese frosting! Soft and moist like a cake, but firm like a bar. I added carrots for texture and color, because why not! 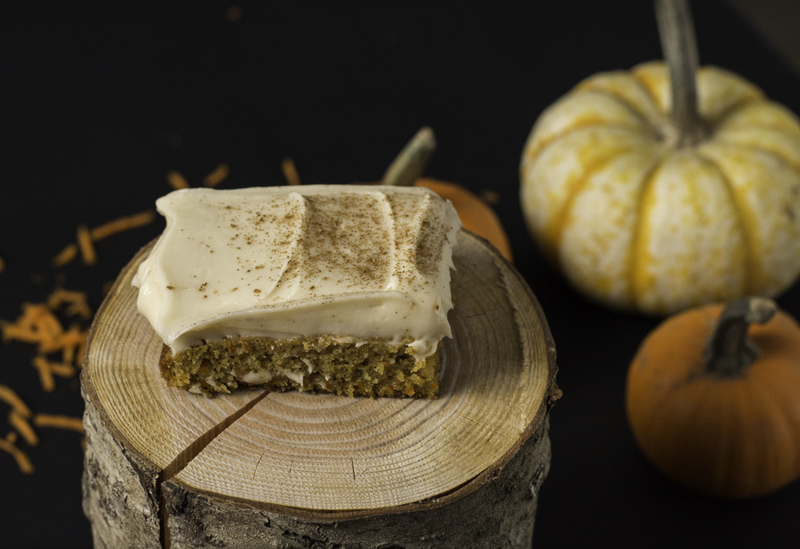 The pumpkin and spices taste just like a pie or pumpkin spice latte minus the coffee! These also whip up in no time if you have pumpkin puree already in your fridge. 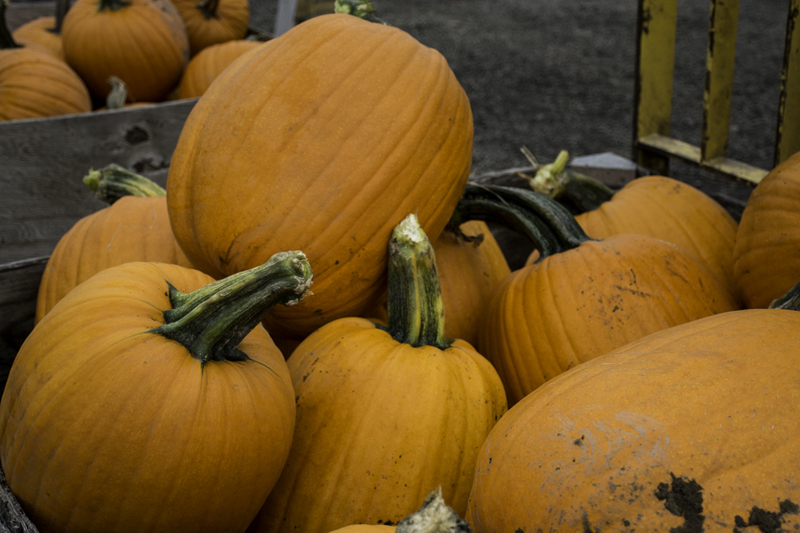 So embrace the Fall season, orange pumpkins, scary costumes, and enjoy these with some coffee and pumpkin carving! Preheat oven to 350 degrees, grease a 13x9 inch pan. In a medium bowl, combine flour, baking powder, baking soda, salt and spices. Whisk to combine. In a large mixing bowl or stand mixer, beat together the sugar, oil, eggs and pumpkin puree. Mix on low until just blended. Add the dry ingredients and mix on low until combined. Fold in carrots. Pour batter into prepared pan and bake for 35-40 minutes until center is set and a knife comes out clean when inserted in the middle. While cake is baking, make frosting. In a mixing bowl on medium speed, mix the butter and cream cheese until fluffy. Add the vanilla and powdered sugar and mix for about 4 more minutes on medium. Frosting should be fluffy and spreadable. Frost cake and sprinkle with cinnamon and nutmeg.